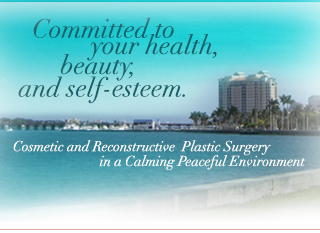 Dr. Rasmussen’s registered trademark is “For a Woman’s Touch in Plastic Surgery ®”. This is based on her work philosophy and office motto, “An educated patient is a happy patient!” This is reflected in her and her staff’s commitment to provide exceptional, individualized care to improve the health and well being of her patients, both reconstructive and cosmetic. The word “plastic” in the term “plastic surgery” is derived from the Greek word meaning “to mold” or “to give form.” As a plastic surgeon, Dr. Rasmussen seeks to improve form or function, or to minimize disfigurement. Cosmetic plastic surgery serves to alter facial and body features to achieve aesthetic improvements for one’s psychological well-being, i.e., cosmetic surgery. Reconstructive plastic surgery includes procedures for birth deformities (such as clefts of the lip and palate or birthmarks), for trauma (such as burns or facial skeletal injuries) and for skin and soft tissue replacement (such as following cancer surgery for the face or breast). Maintaining a “general” plastic surgery practice, Dr. Rasmusen offers comprehensive cosmetic and reconstructive plastic surgical services, both invasive and non-invasive. However, she has special interests in breast surgery, both cosmetic and reconstructive, as well as facial cosmetic surgery and body contouring. Of note, cosmetic plastic surgery often has many options from which to choose, and many non-invasive treatments work in concert with invasive procedures to achieve the best result. As such, Dr. Rasmussen often describes cosmetic plastic surgery as “a palette of colors for a canvas painting” – there are many colors to choose from to paint your picture, but you pick and choose those that best suit your needs and budget. Of course, to assist you with your decision making, Dr. Rasmussen discusses the in-depth nature of these options, their anticipated results and limitations, the possible risks and side effects, and your expected recuperation. 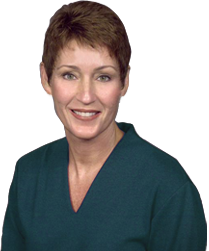 She views her care as a life long commitment to your health, beauty, and self-esteem. 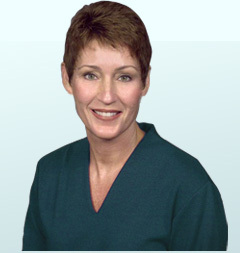 Thank you for viewing Dr. Rasmussen’s website. Hopefully, it will provide you with some insight on the procedures she routinely performs. However, it is by no means meant as a replacement for a face-to-face consultation with the doctor. We look forward to hearing from you in the near future! I understand what it’s like to age... and still want to look as good as you feel. Dr. Rasmussen answers real patient Breast Augmentation & Facelift Surgery Q&A on RealSelf.